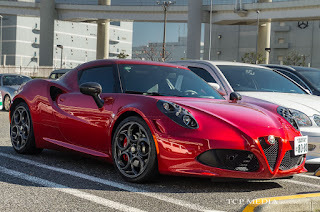 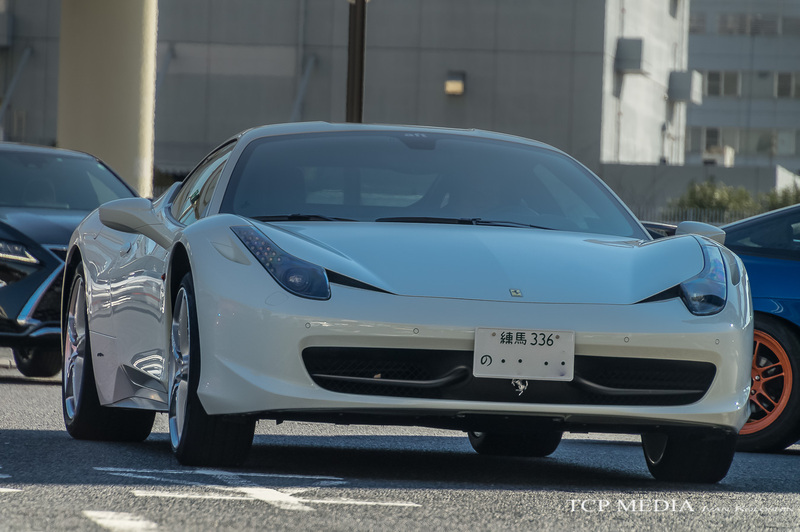 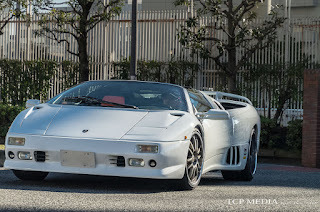 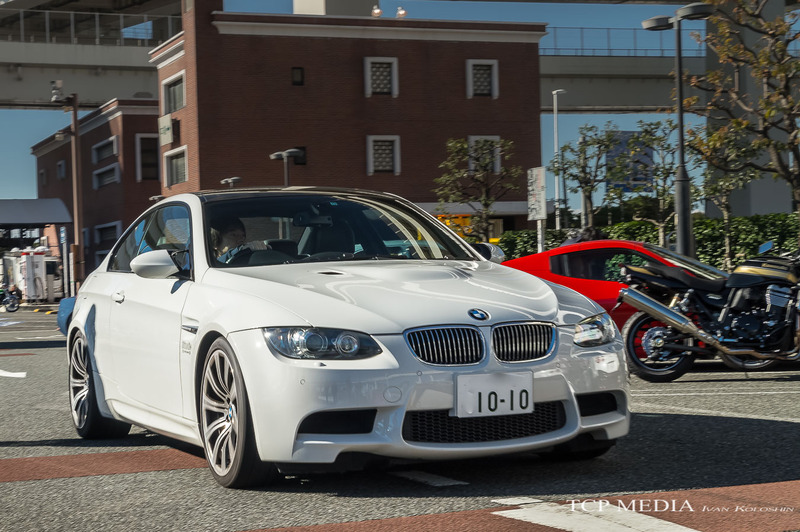 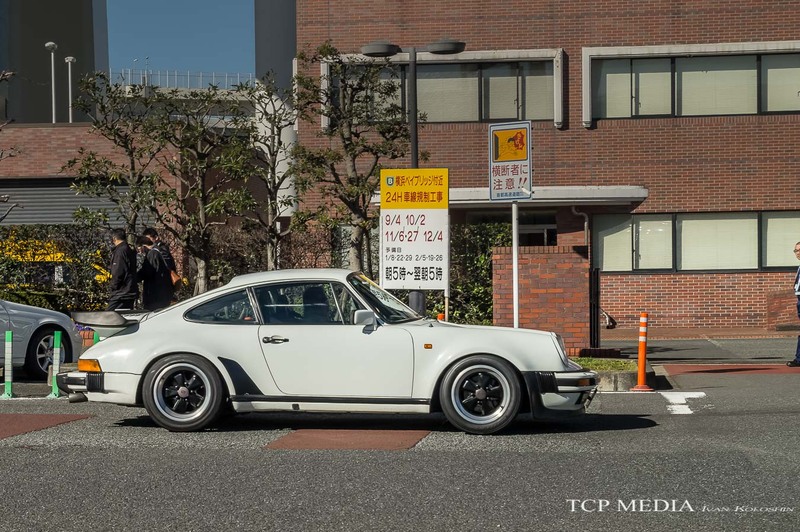 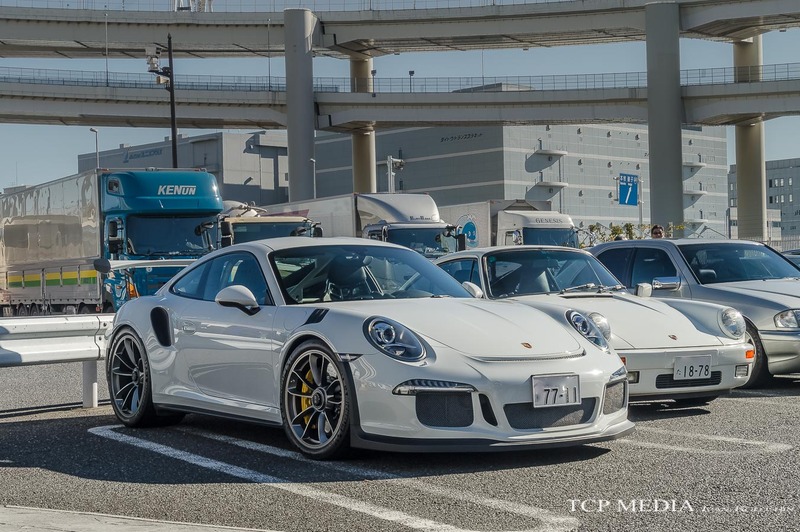 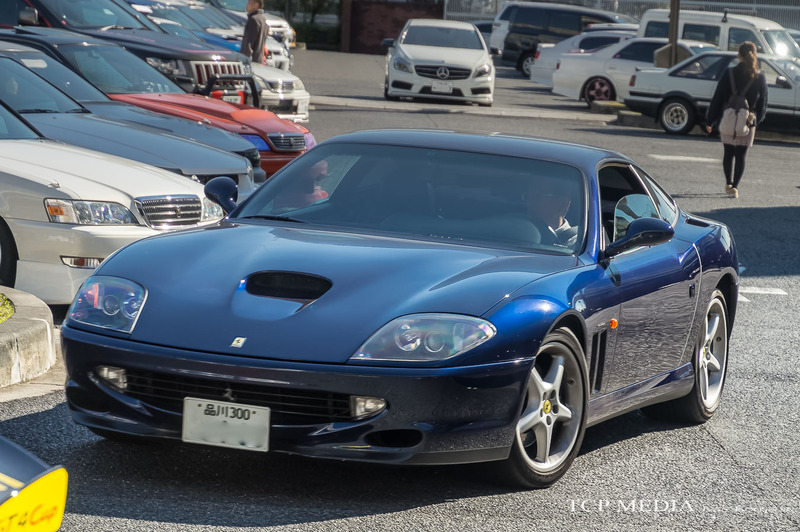 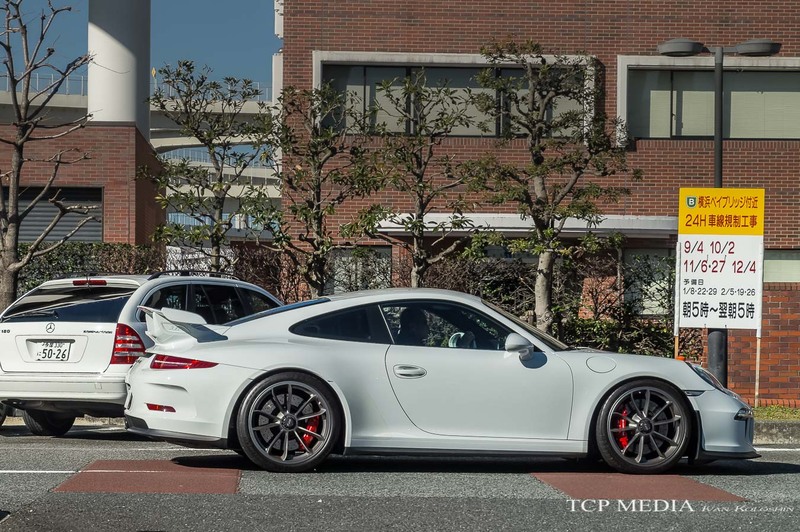 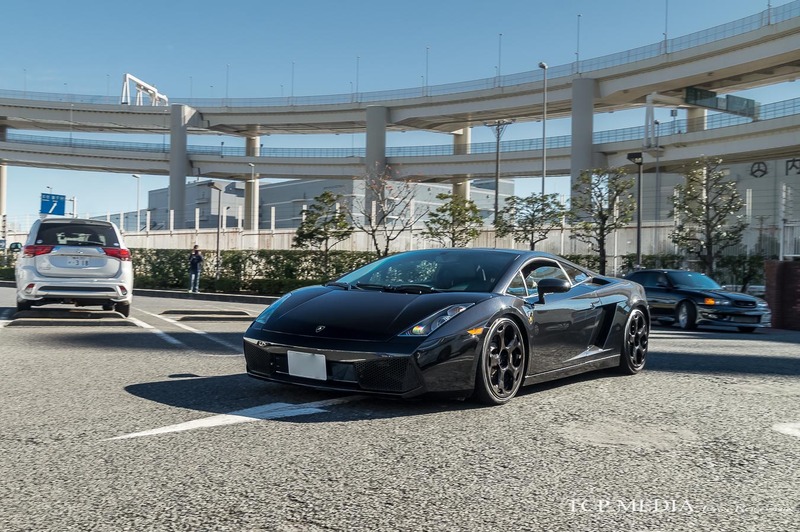 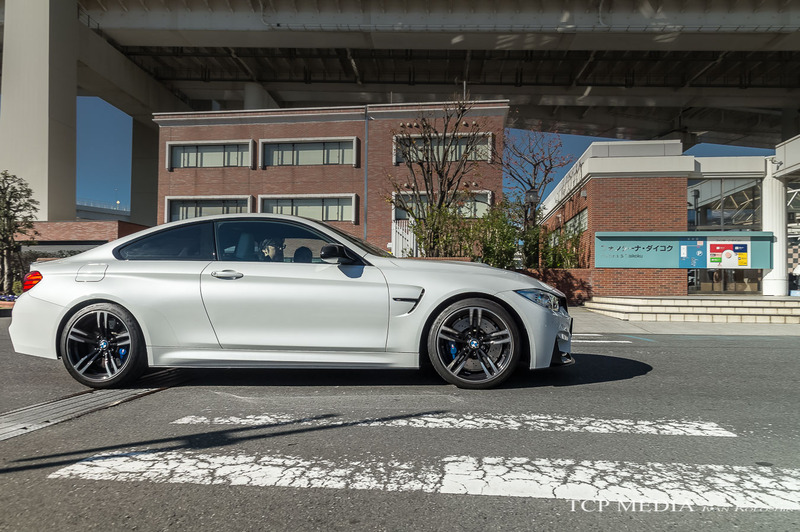 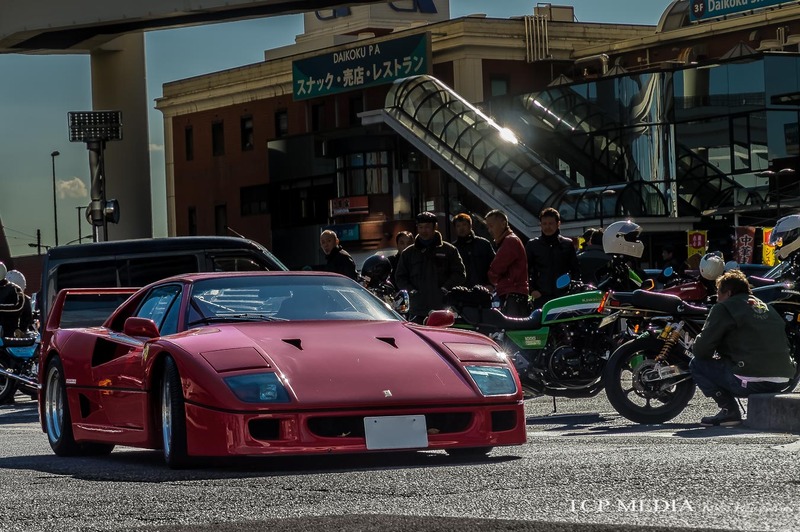 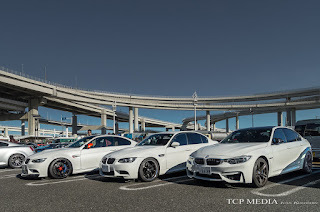 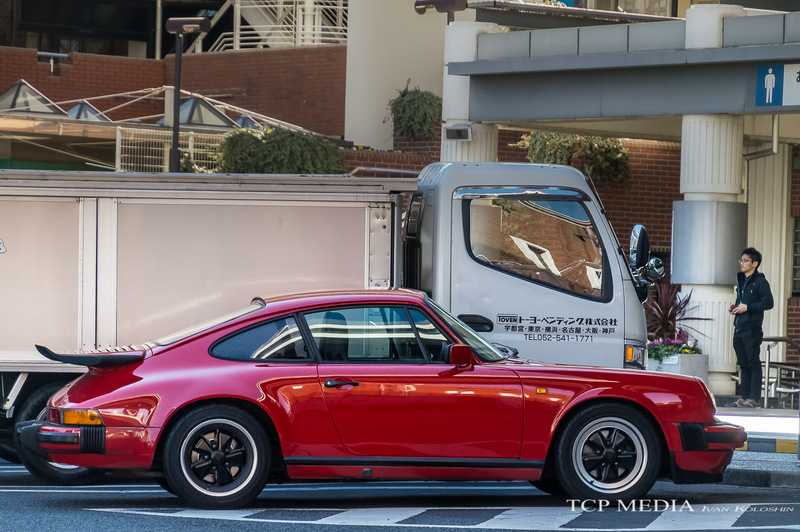 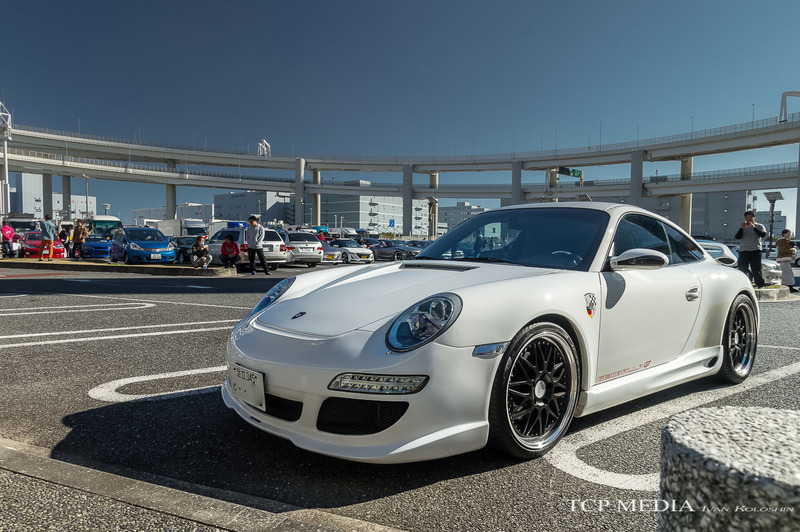 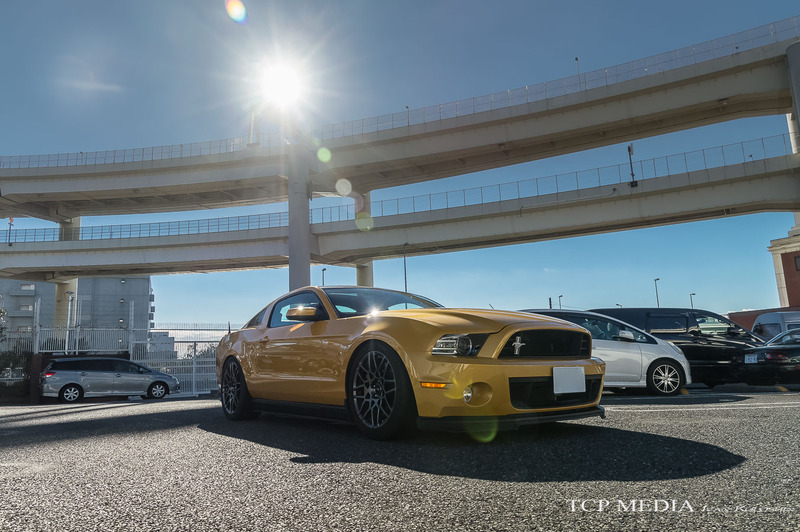 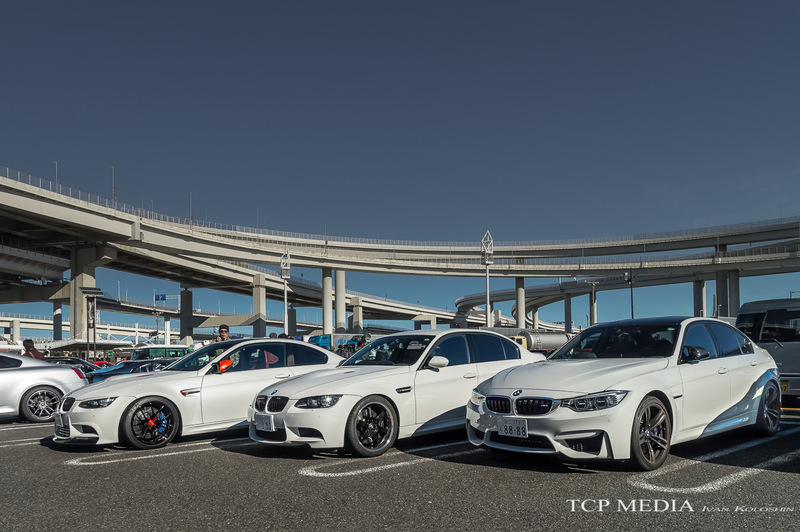 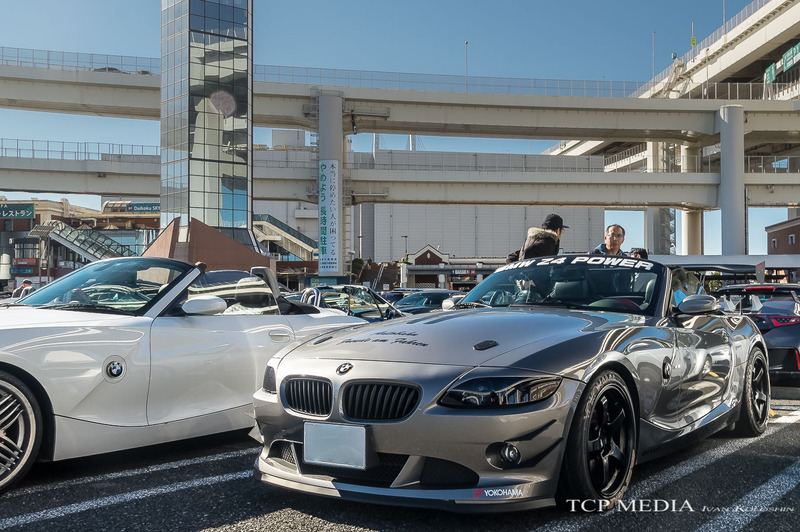 There is only one logical destination after a successful Cars And Coffee meet at Daikanyama -- Daikoku Parking Area in Yokohama. 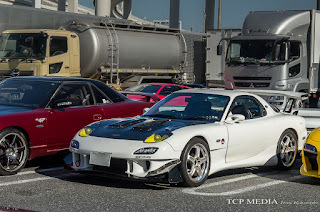 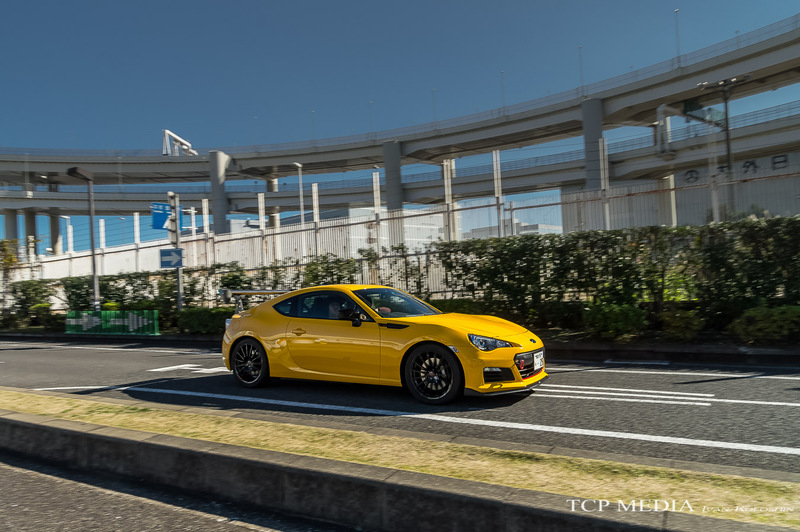 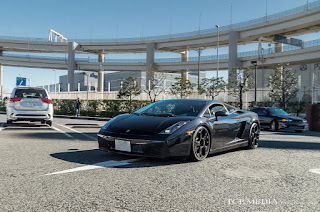 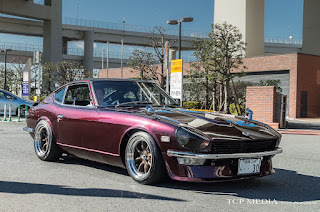 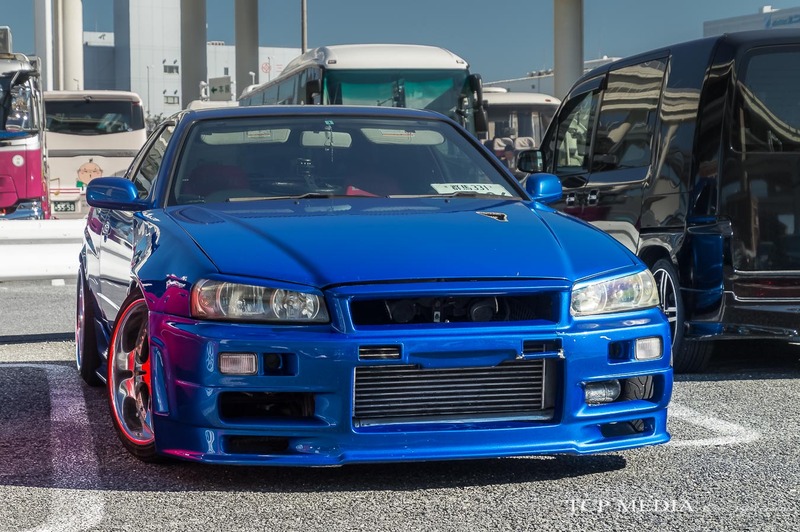 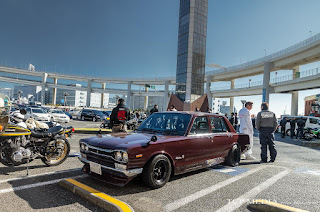 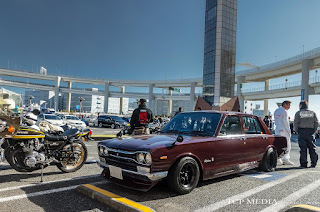 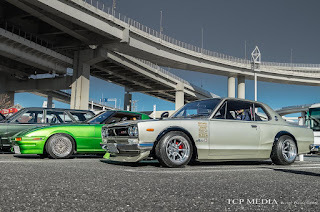 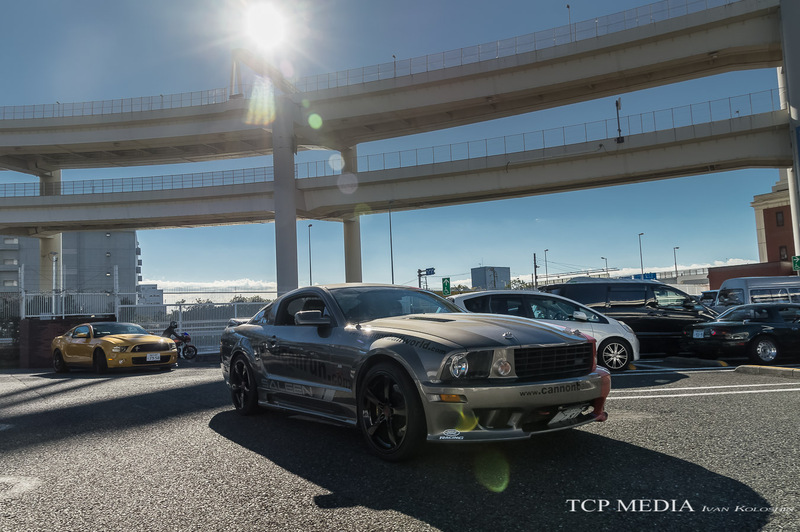 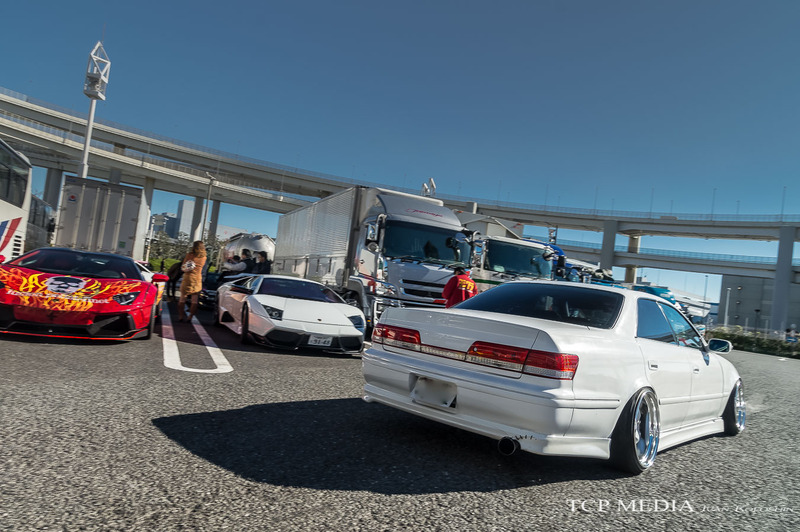 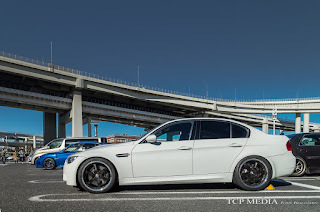 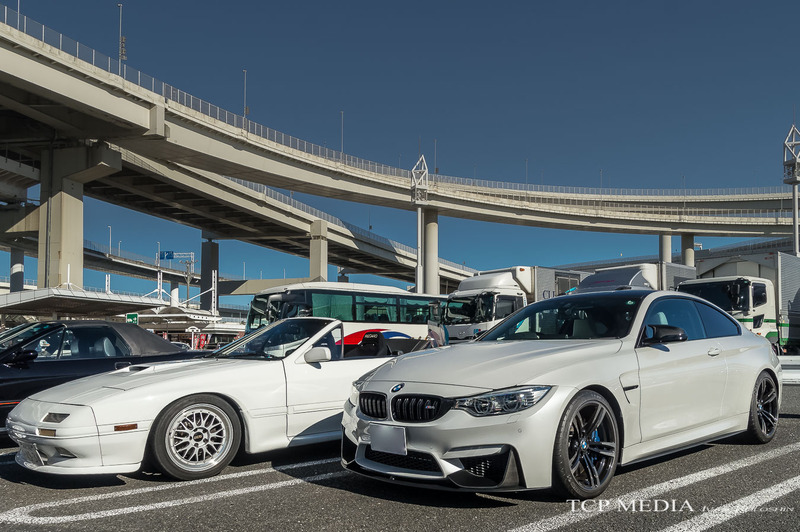 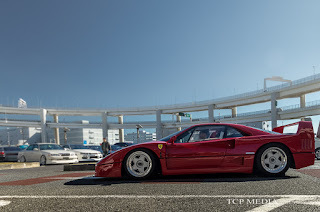 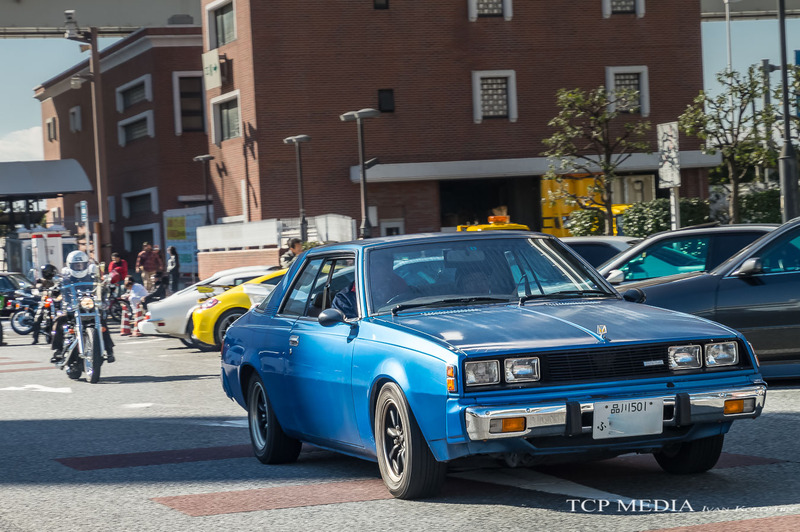 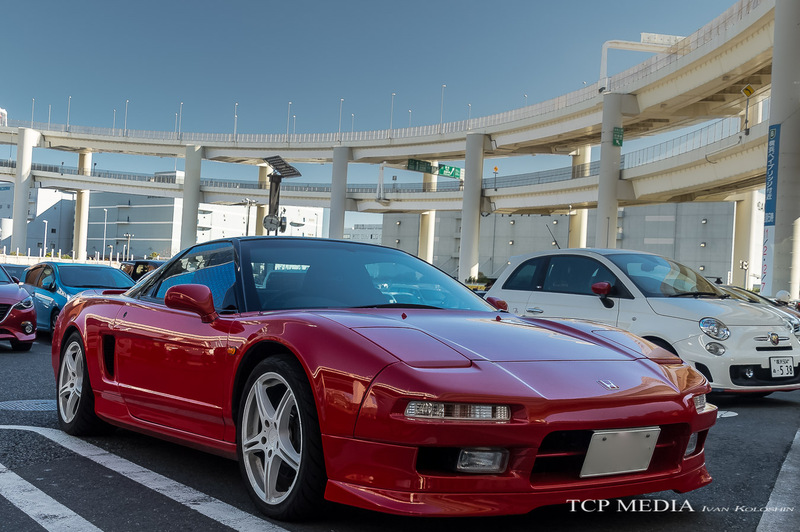 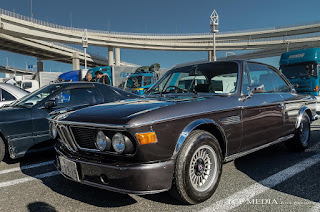 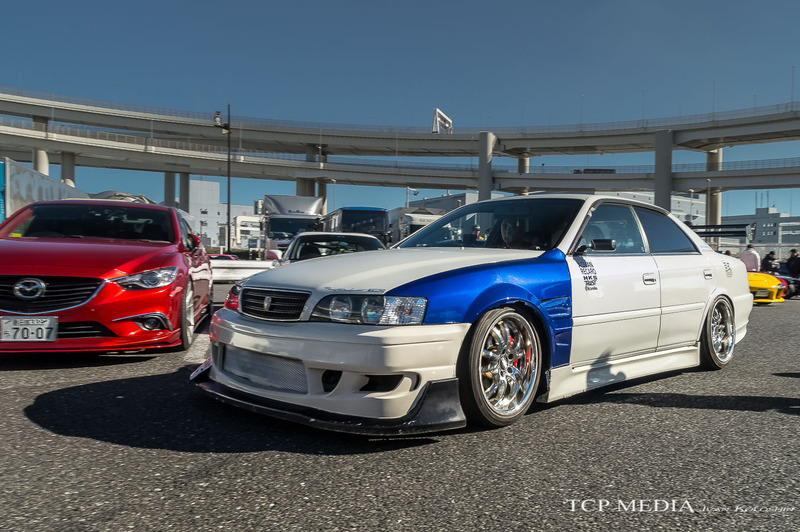 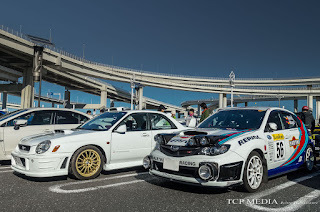 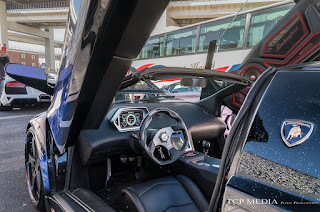 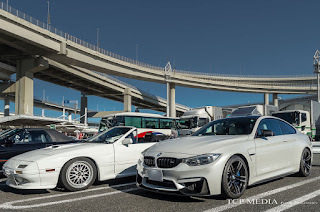 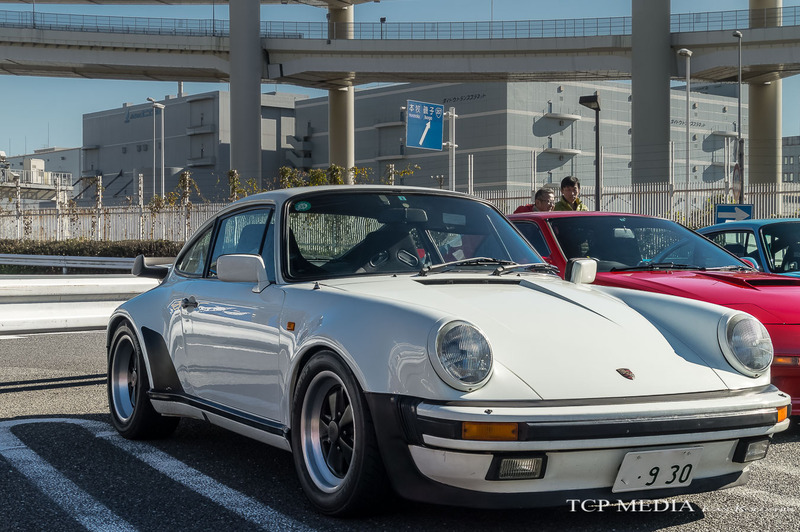 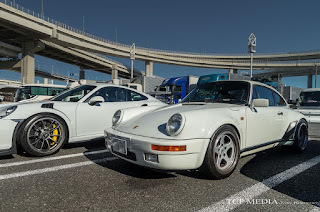 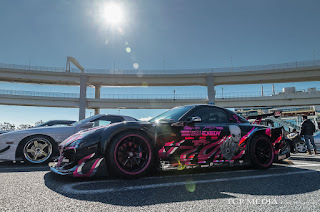 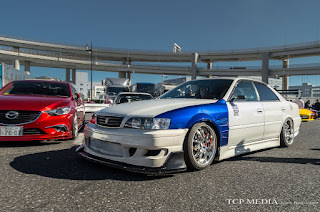 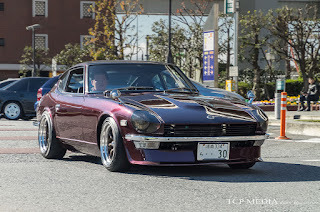 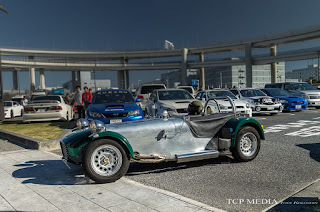 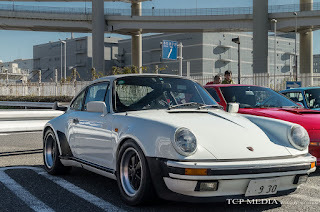 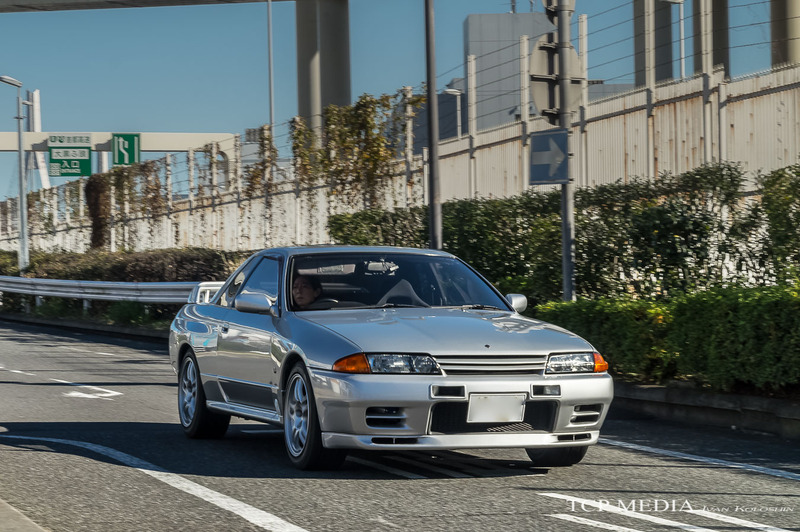 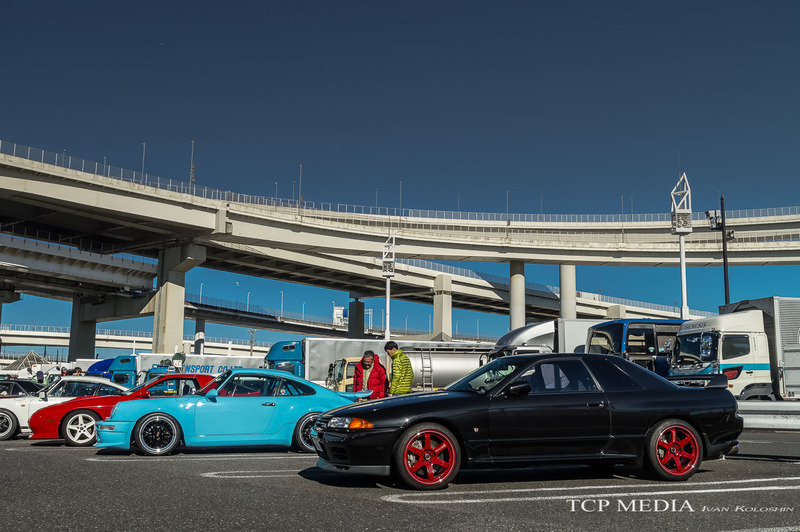 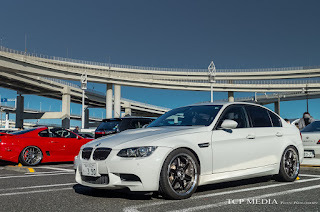 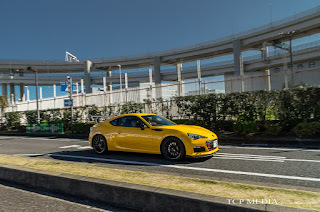 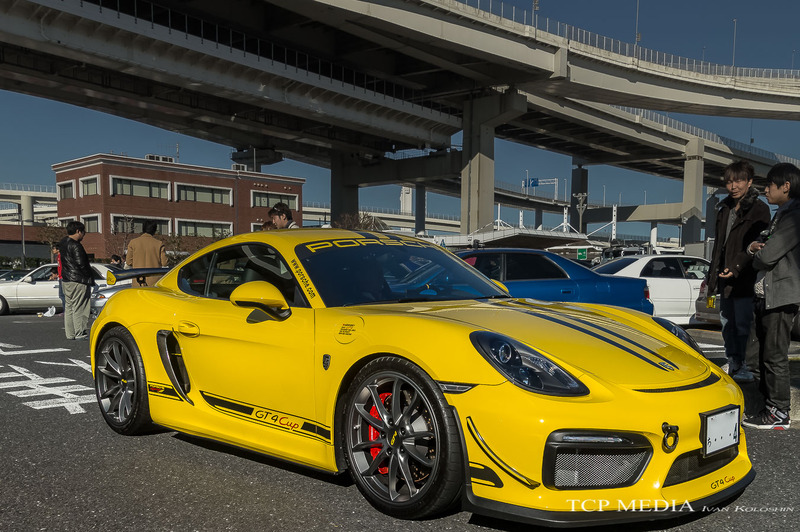 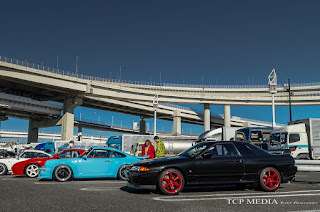 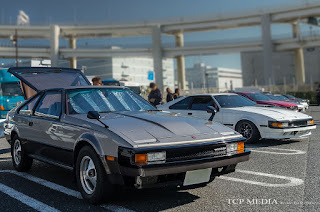 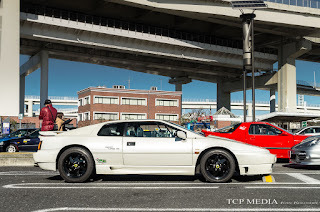 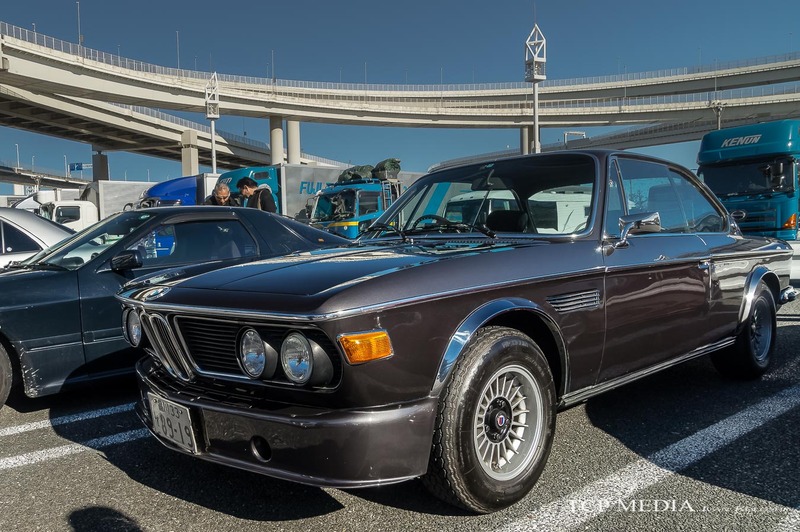 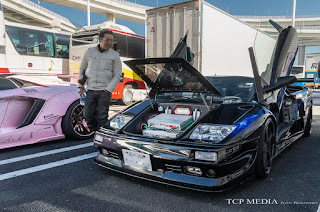 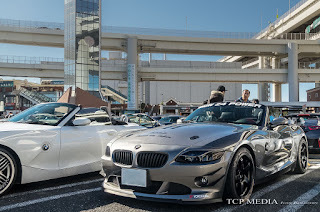 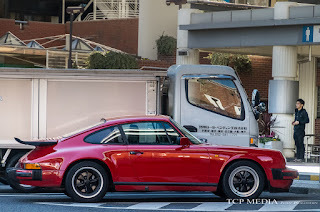 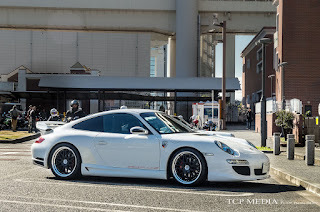 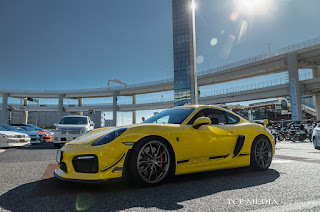 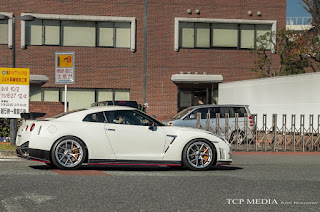 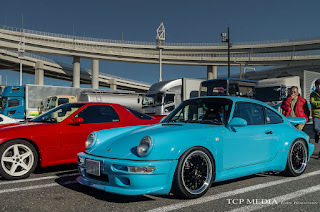 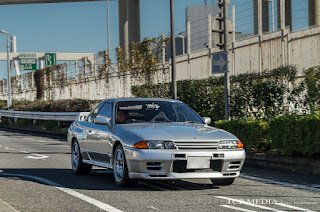 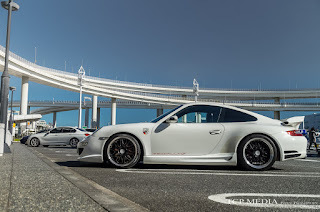 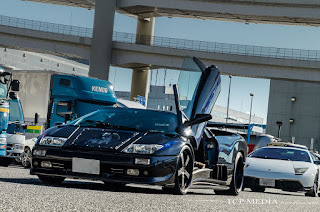 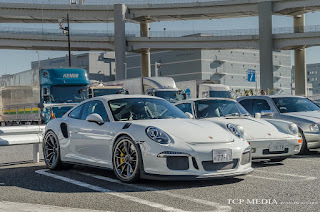 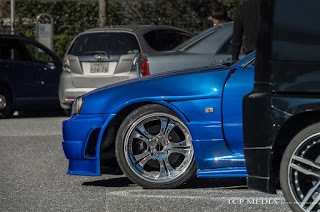 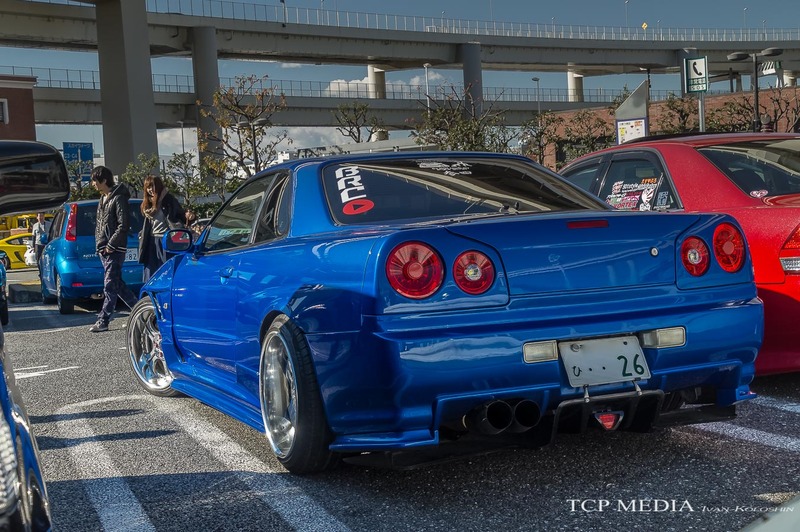 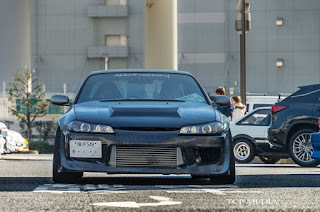 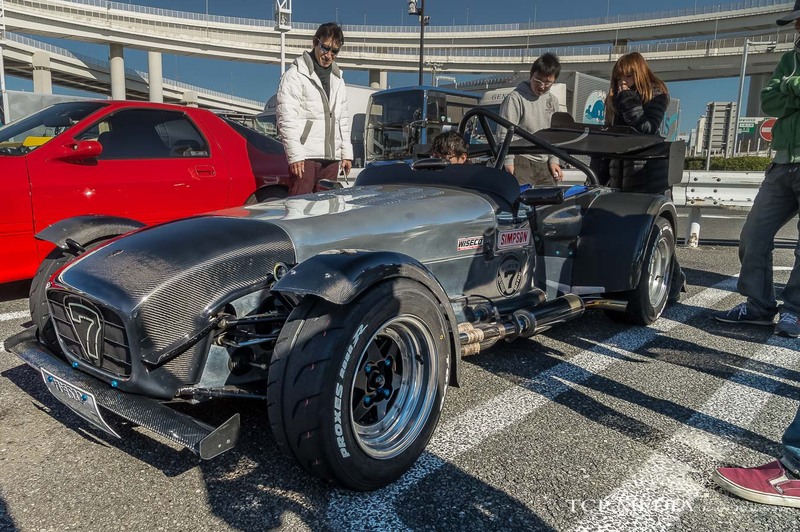 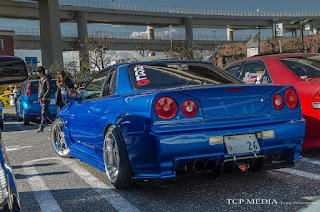 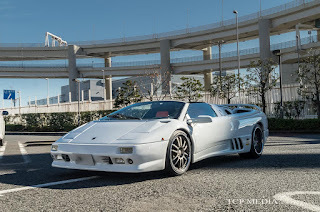 A 40 minute cruise on famous Wangan Expressway on a Sunday a morning is nothing but moment of automotive Nirvana, and once you get there, what could only be described as the best what Japanese car culture has to offer is there for you to see. 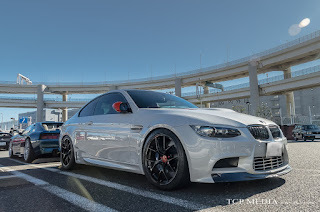 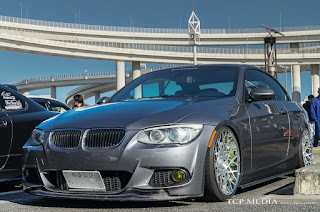 As usual, BMW presence was well felt on this Sunday morning as I couldn't resist the urge to have a closer look at this beautiful BMW E92 M3 on 20 inch BBS rims, carbon lip, and same dual slate grille as mine -- courtesy of Ebay. 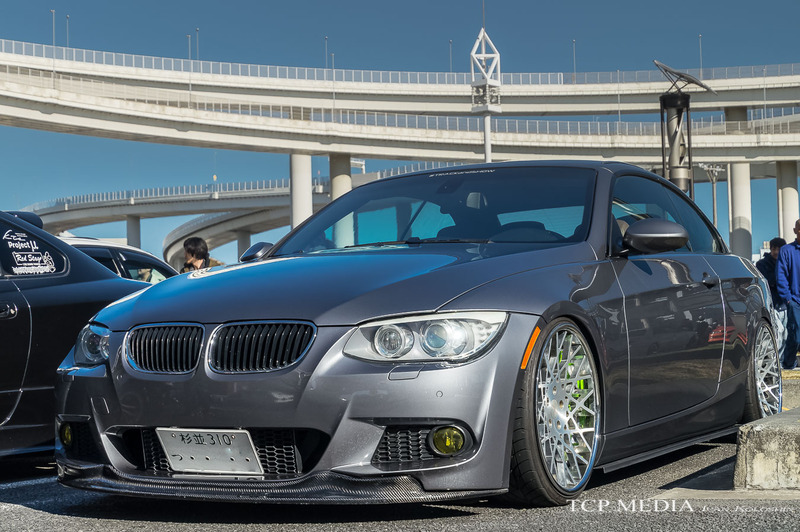 Not too far was this super clean E92 335i on massive Rotiform wheels. 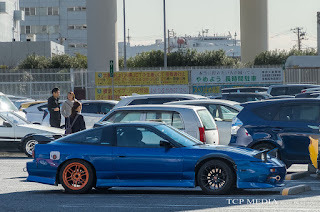 Something was very right about this setup. Just like that, this glorious Ferrari F40 was nonchalantly making its way through the rows of cars pretending to be a Corolla or something. But today was not the day where any single car would be entitled to steal the spotlight. This gorgeous and ultra rare "Ferrari Light Yellow" 246GTS Dino was here to make a statement. 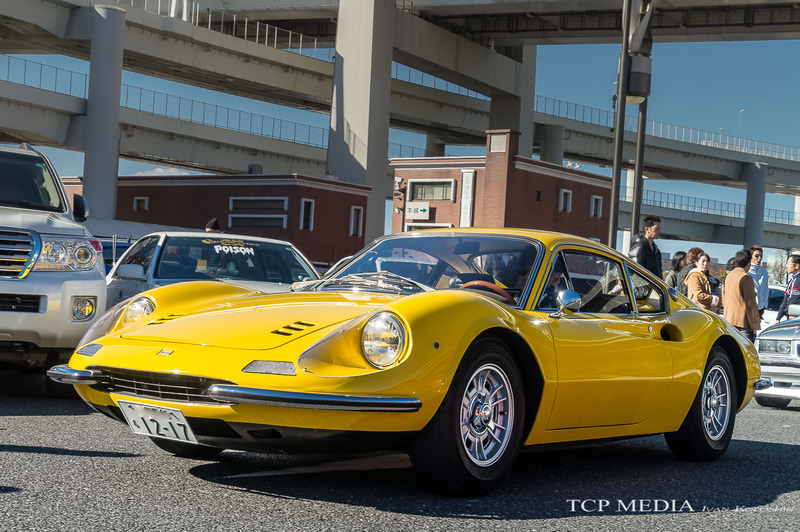 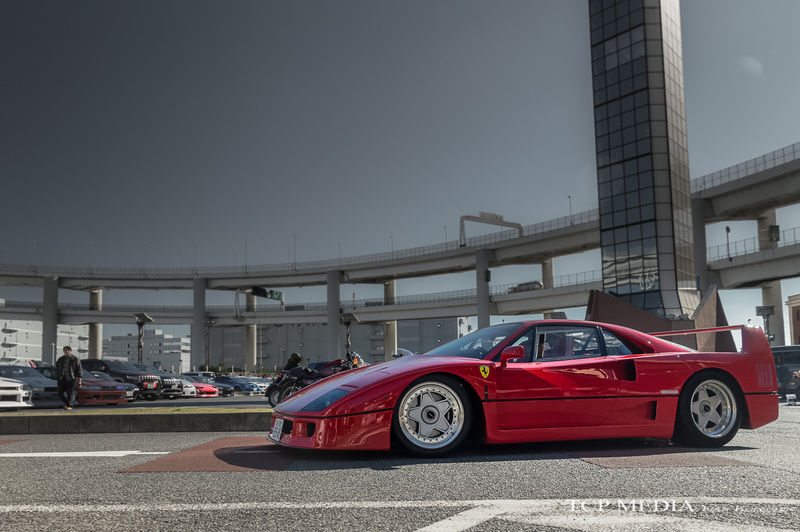 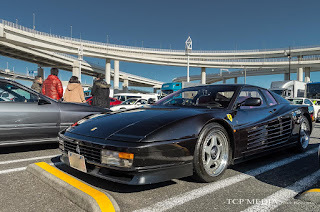 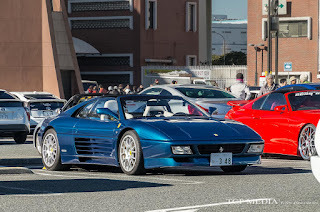 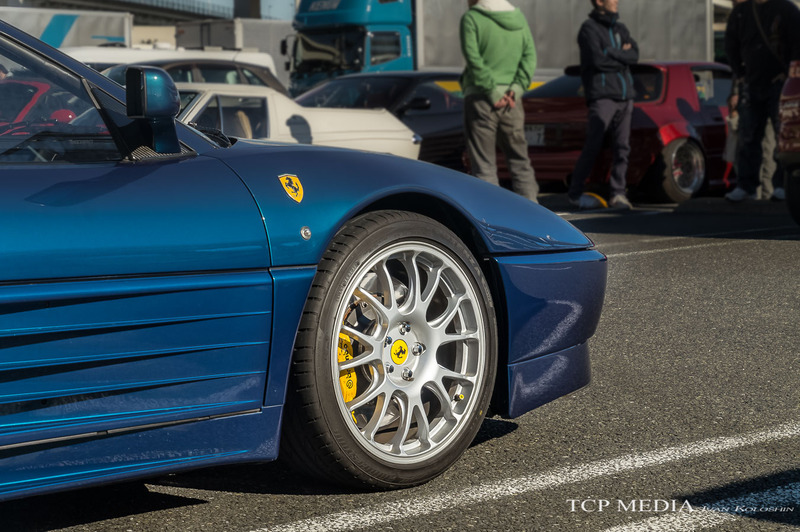 Fans of Japanese Classics wouldn't even bother to look in the direction of any Ferrari because there was a lot to write home about. I can't wait to see what will be the end result, because possibilities are endless. 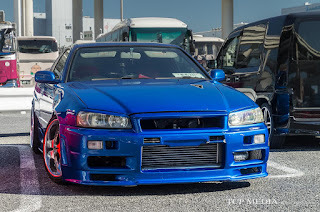 Just look at this gorgeous Nissan Skyline Kenmeri GTR looking as good as if it just rolled off the production line. 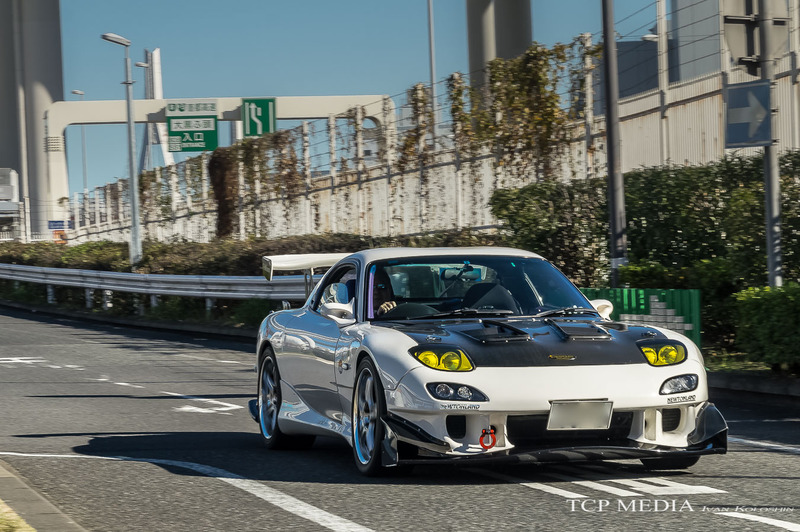 But what really made my day was this example of textbook cleanness. 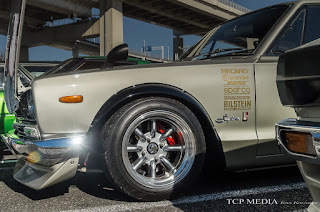 This Nissan Hakosuka KGC10 Skyline was a true trophy-getter. 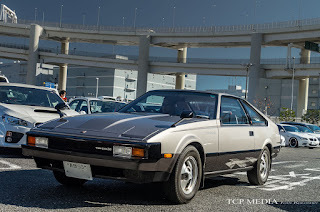 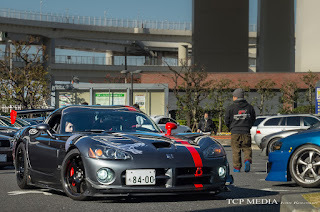 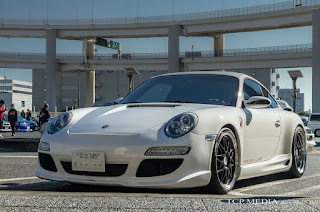 The car started its life as the ordinary GT coupe but was fitted with aggressive wide body kit, Watanabe wheels, carbon bonnet and Brembo brakes to become an ultimate track weapon. 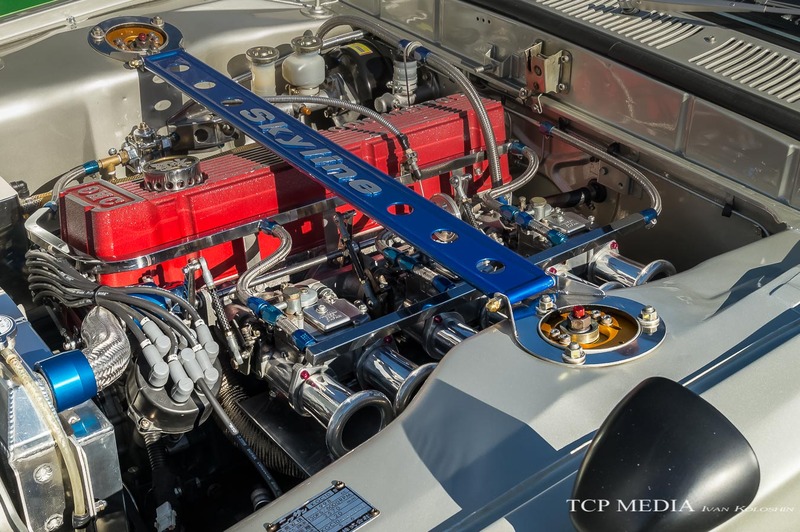 Under the reinforcement strut, the L20 engine was swapped in favor of more powerful straight six with Datsun 3100cc crank and cams. I would not be surprised if this car appears at Nostalgic 2 Days show or even Tokyo Auto Salon. On this day, there was plenty to see for fans of modern JDM as well. 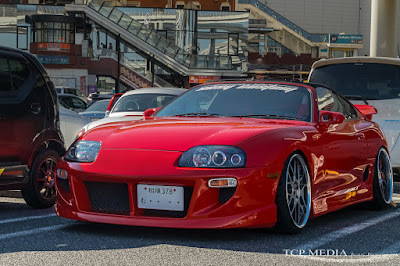 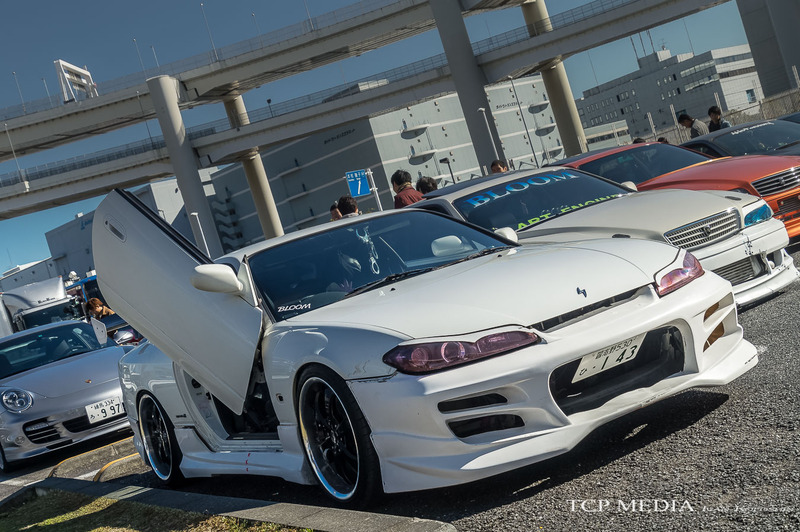 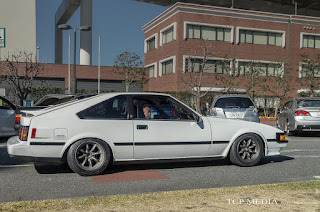 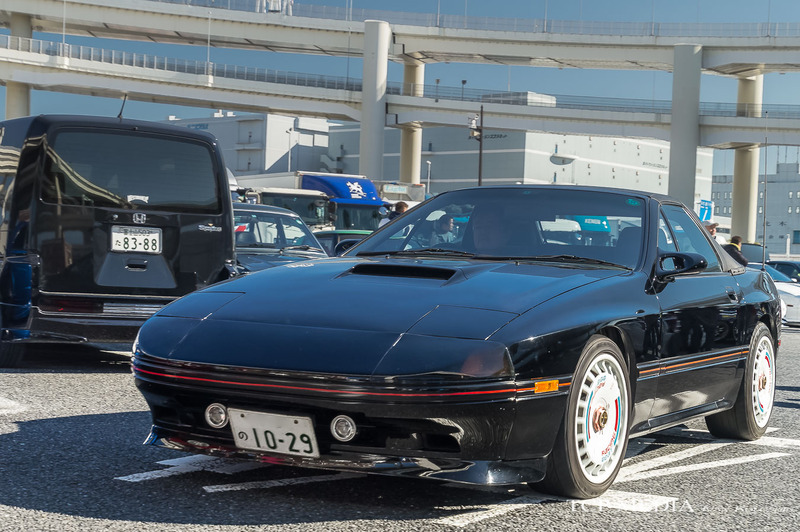 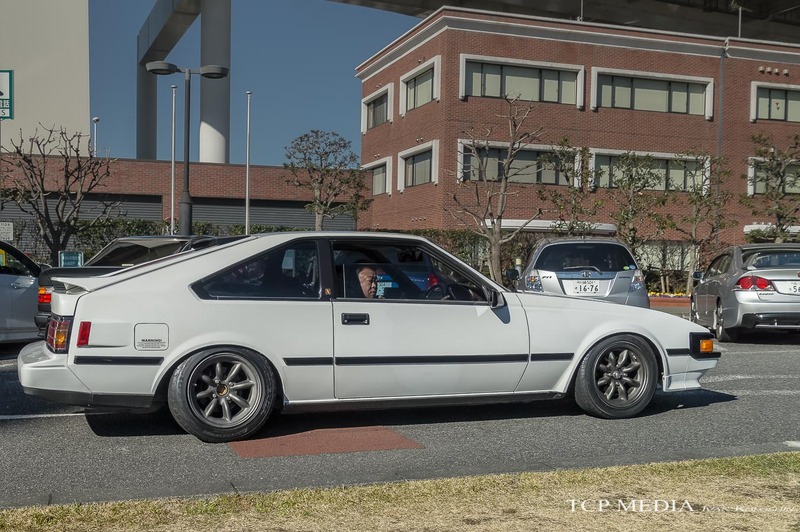 This JZA80 Supra definitely looked apart as it was stanced perfectly on 20 inch wheels, featured a Ridox-style front bumper, and above all was a targa top variant, which is quite rare in Japan. And one was fitted with BBS FI wheels! 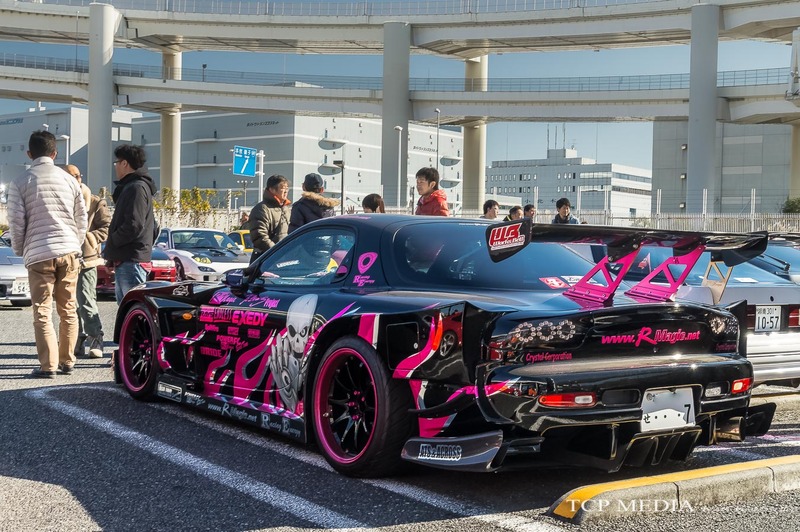 Or how about the timeless FD RX7 with full RE Amemiya body kit? 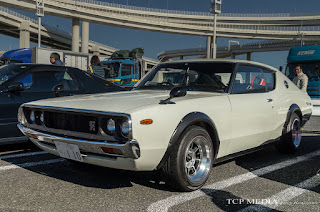 Apart from the JDM awesomeness, there was plenty of muscle from the US. 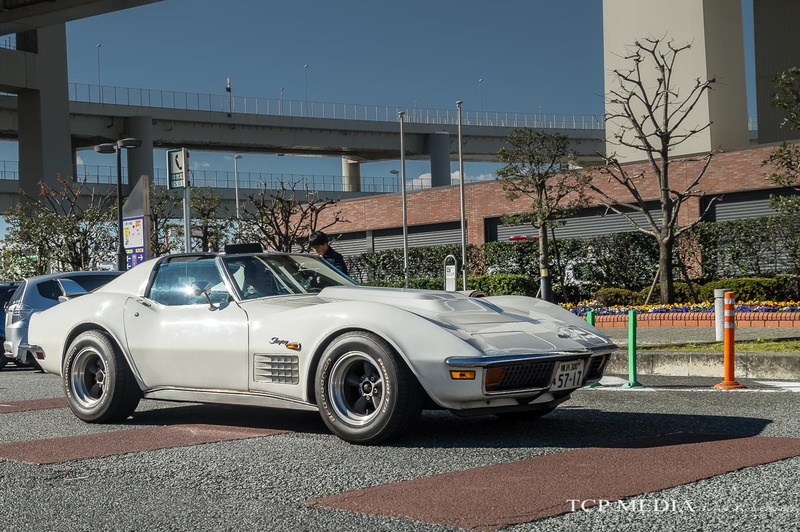 How about this beautiful Corvete C2 Stingray? 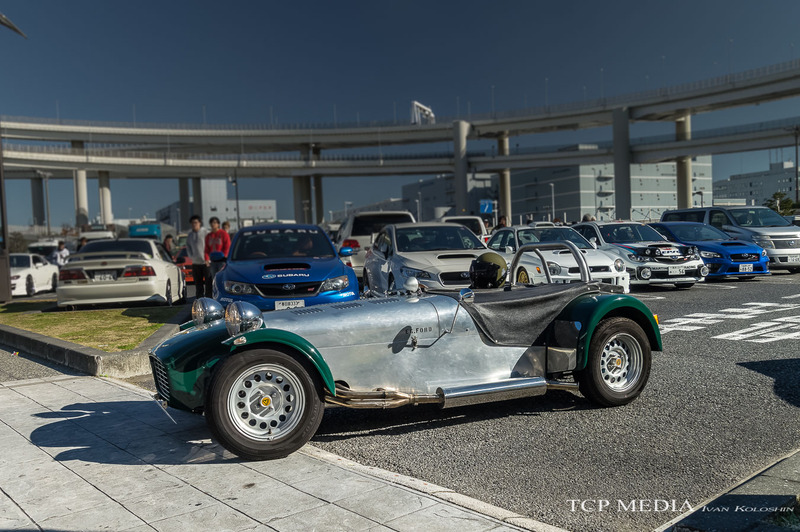 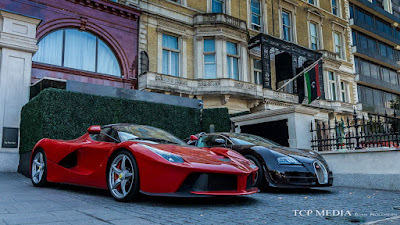 This was quickly turning into the United Nations kind of car meet as British metal was given a chance to shine. 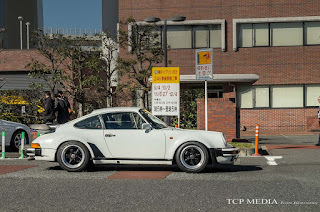 Or impress everyone with its straight to the point simplicity and sheer brutality. But if it were one nation that shined the most, it was Italy. 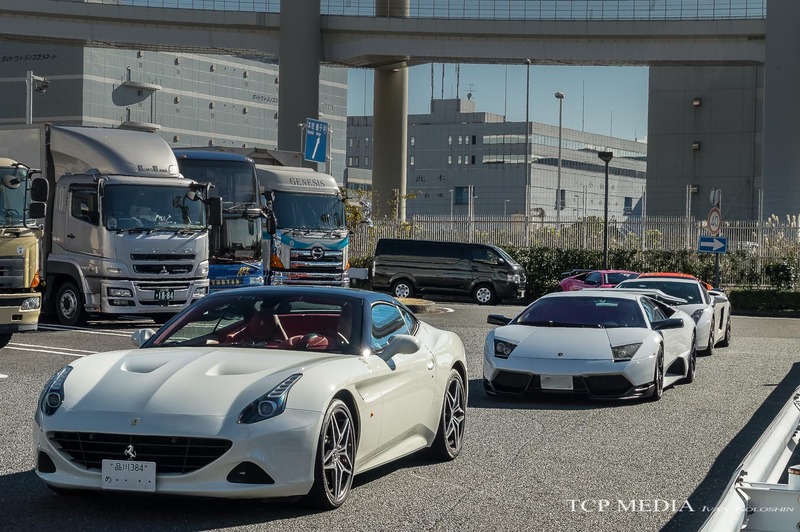 The F40 from above was only part of the reason, as was the beautiful Alpha Romeo 4C Coupe and a mighty Lamborghini Huracan. Well, they couldn't have done it on a better day. 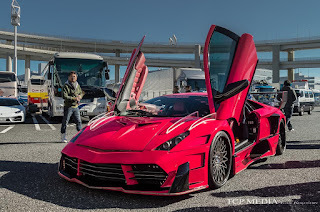 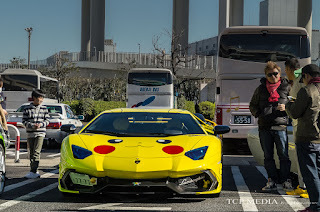 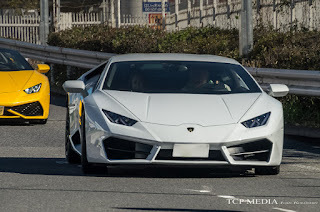 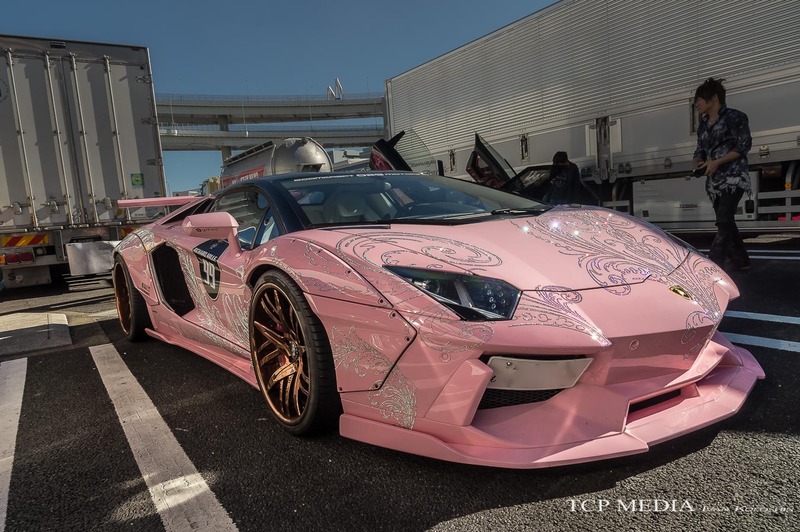 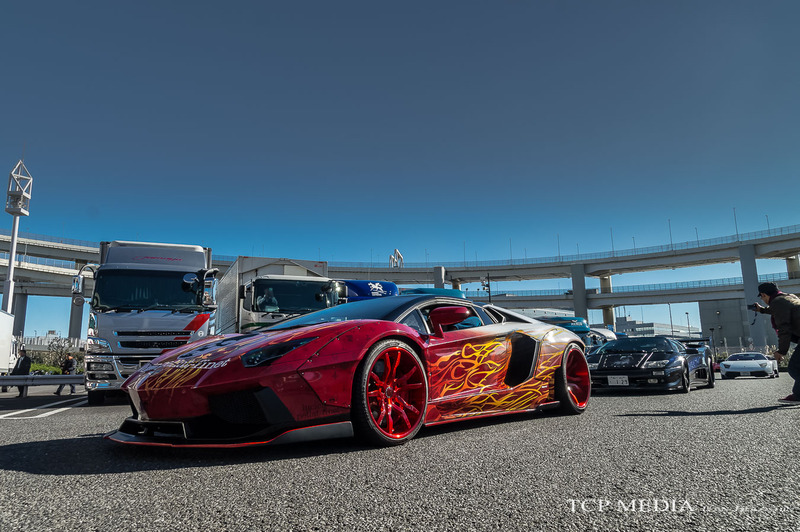 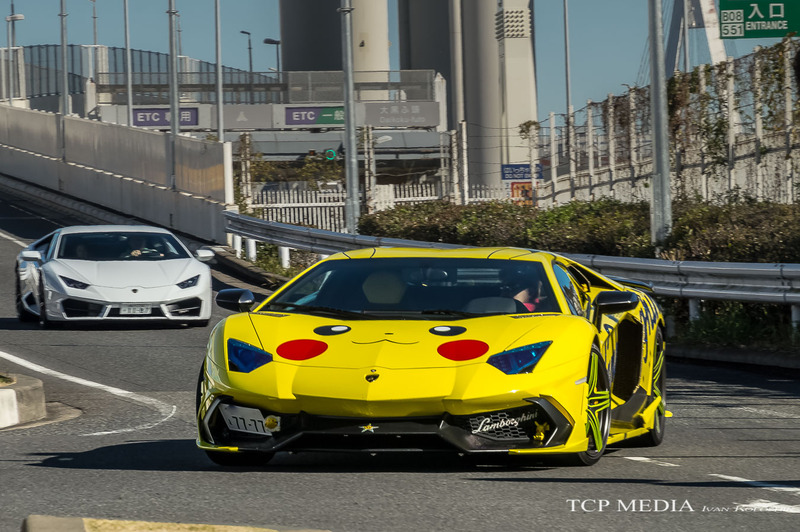 Then the man himself.. From gangster to world renowned car celebrity - Morohoshi-san has seen it all, and his Pikachu Aventador Aniversario is instantly recognizable. 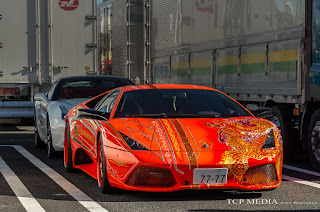 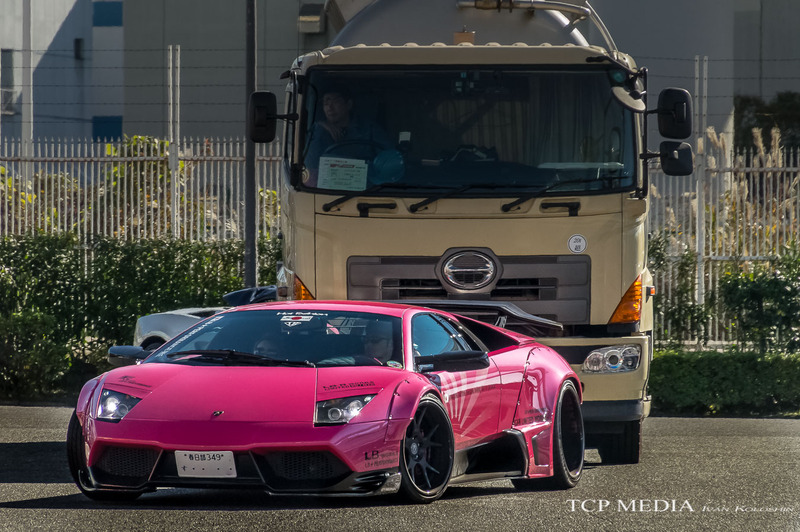 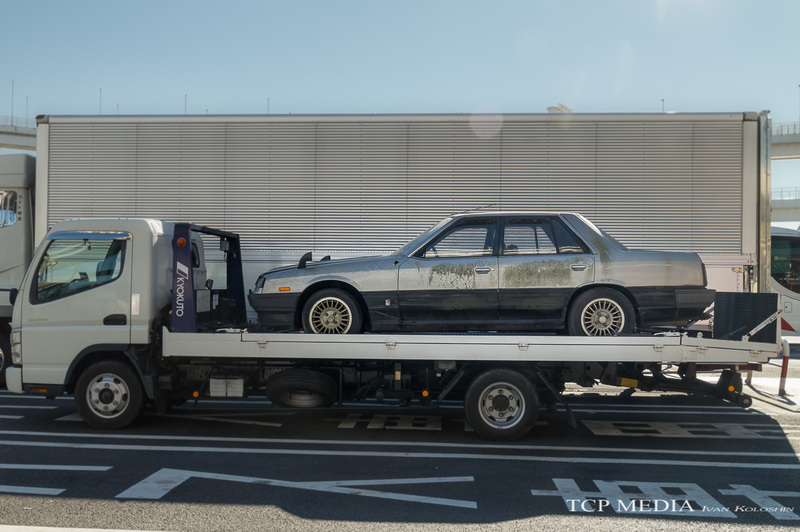 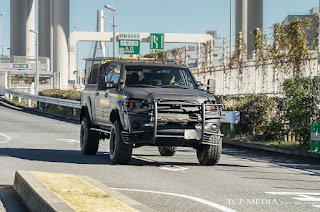 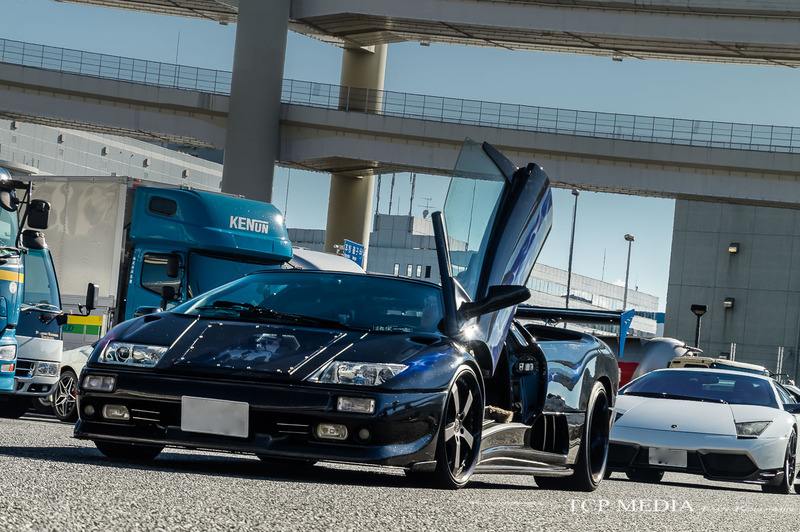 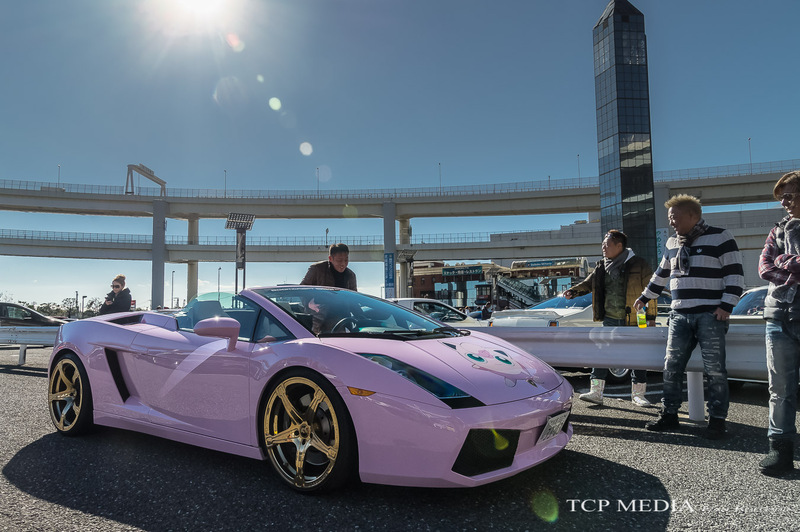 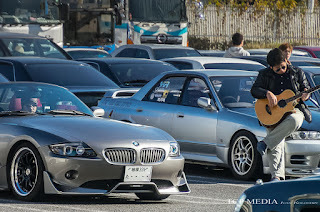 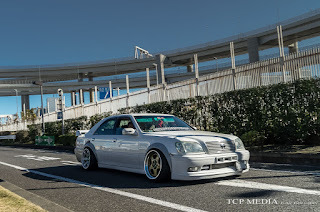 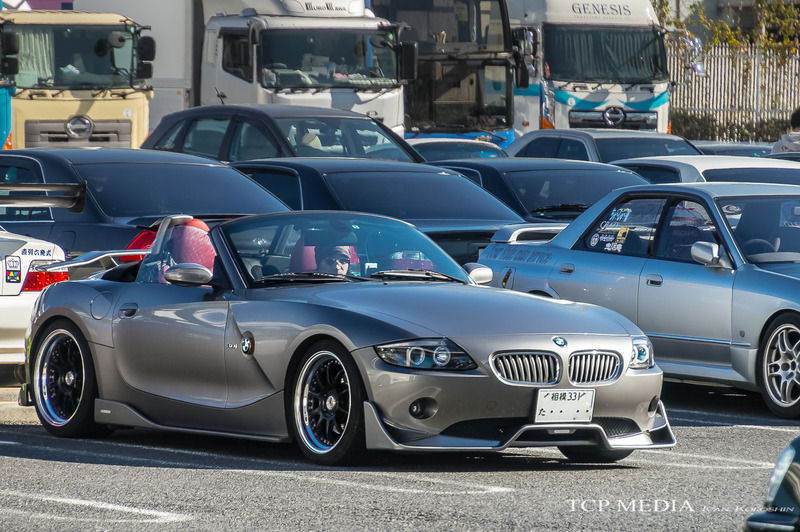 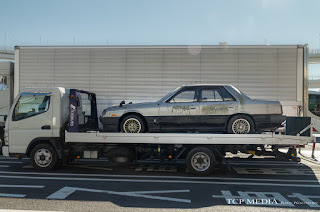 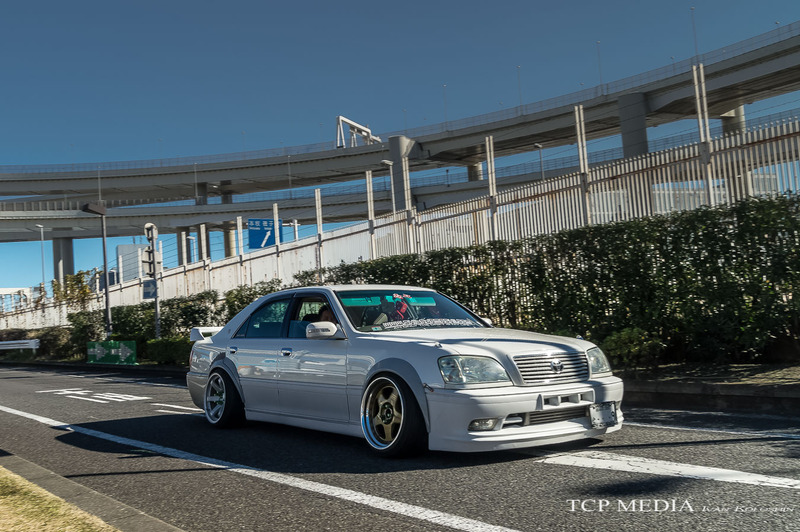 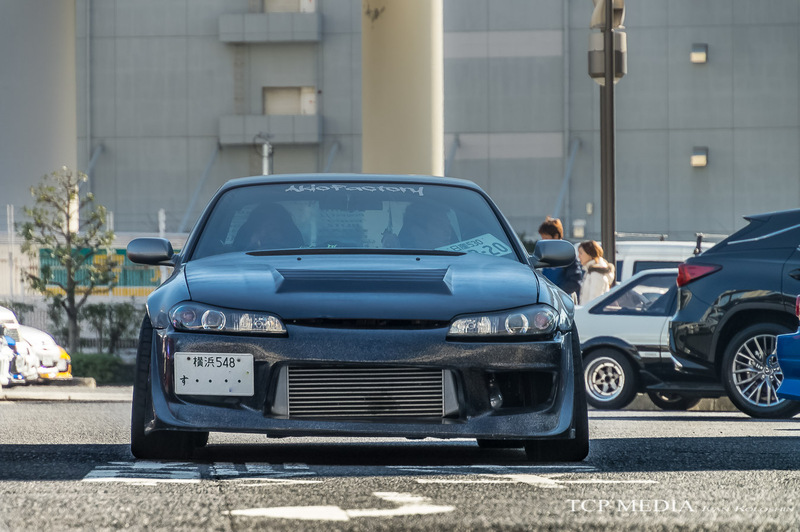 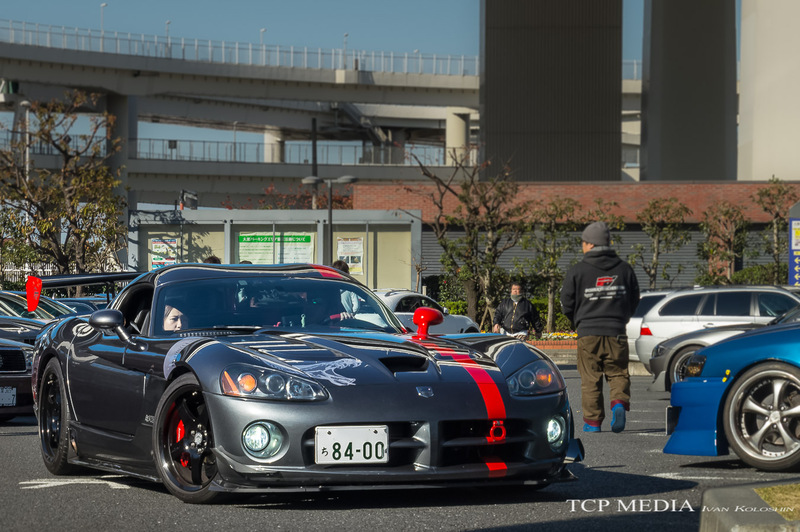 As usual, Japanese car customization is not just about fun and games. Some craftsmanship and innovation here is second to none. 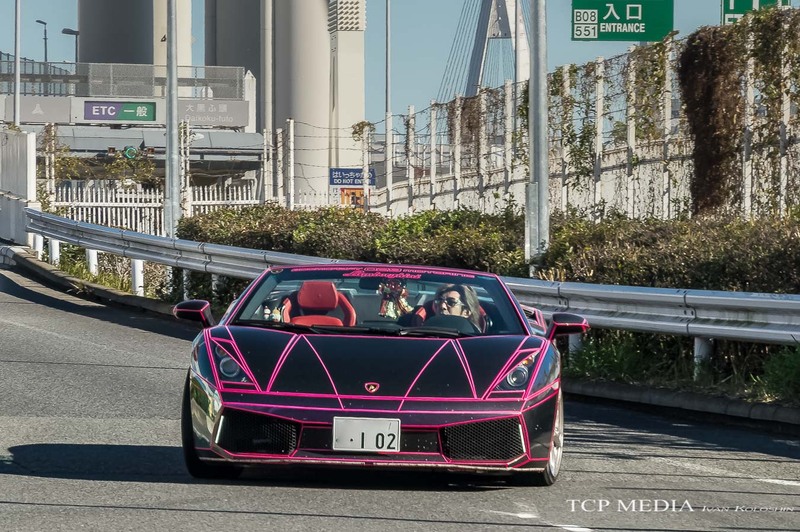 This Liberty Walk Gallardo underwent a complete wrap-job by Booom Craft using carbon fiber looking vinyl. 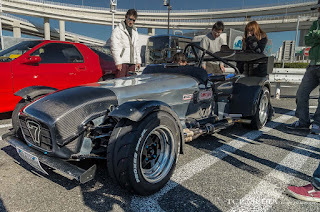 The execution was absolutely perfect -- corners looked sharp, there were no signs air bubbles or inaccurate cuts; even the carbon weaves were straight and consistent. Then were the toys. 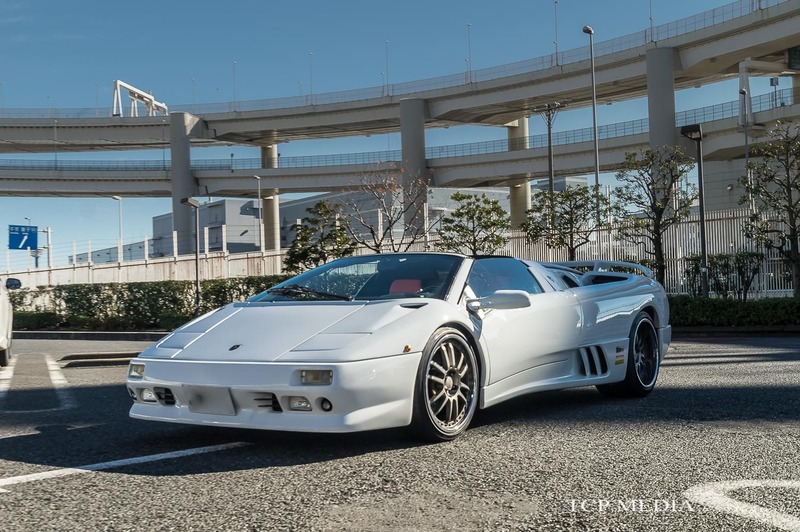 This Lamborghini Diablo VT Roadster underwent complete interior transformation with new full leather cabin looking even better than the original. 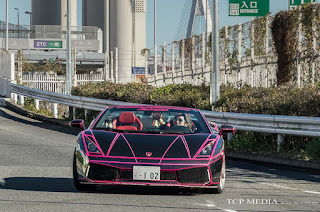 On top of that the car has been fitted with custom state of the art stereo and digital drive cockpit featuring on-board computer and digital meters displayed on high resolution Samsung 7 inch screen. 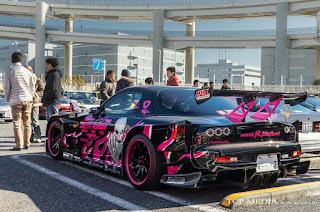 So there we have it, this where I will stop and let the pictures below do the rest of the talking. 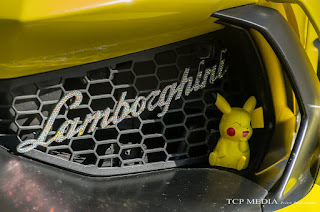 Thank you all for sharing, commenting, and following, and I hope you all have happiest of holidays!